Getting & Staying Healthy Starts with a Healthy Home. 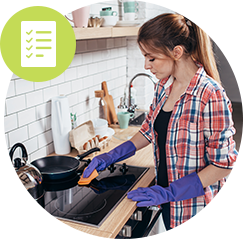 Sign up to receive free Healthy Home guides with practical tips, tools, and resources for a cleaner home and healthier family brought to you by the Alliance for Consumer Education (ACE). If you’re like most Americans, you likely spend more than $40 a month on products to clean your home, maintain the things inside it, and keep your family healthy. But are you familiar with what’s inside the products and how they work? You know the importance of reading labels of the food you eat. 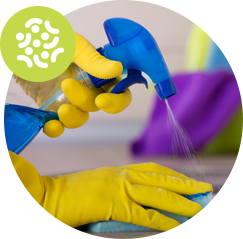 Less obvious is the the importance of reading labels on the products you mop across the floor, spray in the air, and wipe across your countertops. Learn how the safe and proper use, storage, and disposal of these products can help you maintain a clean and healthy home, which ensure a healthy family, too. Sharing is great… except when it comes to germs. Every home has “hotspots” (e.g. doorknobs, toys, countertops, remote controls and telephones) that need special attention to keep your family healthy. Get smart on the safest and most effective ways to keep your home and family healthy with household product tips and advice from ACE. Cleaning house can be a family affair. 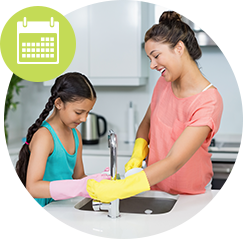 Download our Cleaning Chore Cards for Kids for simple ways your children can help you maintain a healthy home. Have you bought a new home? 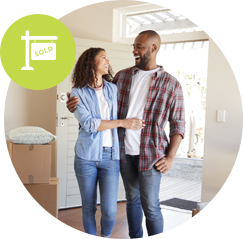 The thought of moving in is exciting one but there are important first steps all new homeowners should take before carrying in and unpacking their first box. Follow this checklist to get your new home move-in ready! 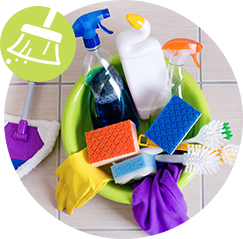 Keeping your home clean and healthy doesn't have to be labor intensive or expensive. Follow these ten simple tips to quickly cut through clutter and keep your home safe, fresh and family-friendly. 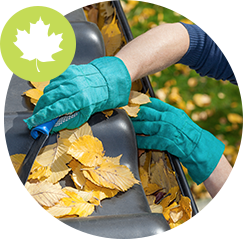 Want your house to be in tip-top shape? Follow our 30-day cleaning guide to ensure you tackle every space in your house and build healthy habits. Do you consider product storage and disposal as part of your cleaning routine? Learn about the best practices for bathroom and kitchen storage and disposal to ensure your entire home is safe and healthy. The Alliance for Consumer Education (ACE) is a nonprofit organization that was founded to educate consumers on the proper use, storage, and disposal of household and institutional products. For nearly two decades ACE has provided insightful and educational resources to help new homeowners, parents, teens, and educators become conscious users of household products. Backed and informed by influential household product specialists, scientists, and injury prevention experts, ACE is an industry leader you can trust. Who doesn’t love a #healthyhome? The Alliance for Consumer Education (ACE) invites you to share photos of what it takes to keep your home clean and healthy for a chance to win a prize pack filled with home cleaning essentials and tips from ACE. Tag your photos with #MyHealthyHome and follow @aceconsumereducation on Instagram for updates. Each photo counts as one prize pack entry. Winners will be chosen and announced on Sunday, October 14. Copy this text with your posts on Facebook & Instagram and follow ACE on Instagram for you chance to win: "Check out #MyHealthyHome @aceconsumereducation #photocontest"